SoundHound announced a relaunch of its popular music-recognition app, which the company calls “the most significant visual change to the app.” The design is optimized for iPhone 6 and 6 Plus, and of course is fine in earlier iPhones, and Android phones. We tested the new SoundHound version 6.3 in both environments. 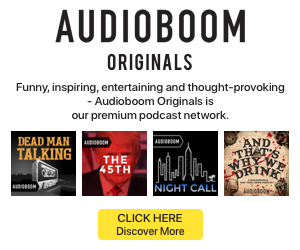 If we seem to be making too much of a small point, it’s because the thrust-and-parry of external connections is a key point of competition between SoundHound and Shazam. SoundHound’s close affiliation with Spotify is an important differentiator, enabling Spotify subscribers to instantly and automatically throw all identified music into a Spotify playlist. That one feature can glue a Spotify loyalist to SoundHound for all music identification needs. SoundHound strives to be discovery ecosystems that puts a wide usability perimeter around simple song recognition. SoundHound’s new app organizes its portfolio of information and choices better than before, encouraging deeper involvement. 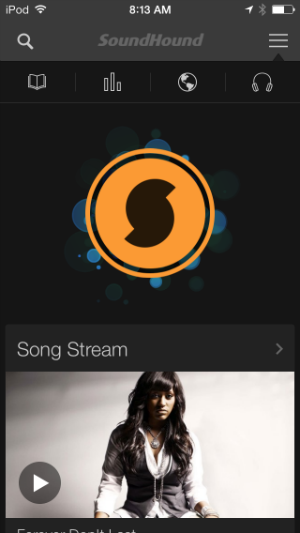 “We have enriched SoundHound’s position as the gateway to all-things music, with a relentless focus on making the user experience extraordinary,” said James Hom, VP of Product at SoundHound. Oh — and the orange SoundHound button, which you tap to identify a song, is enhanced with a beautiful bit of animation. We like the improvement.